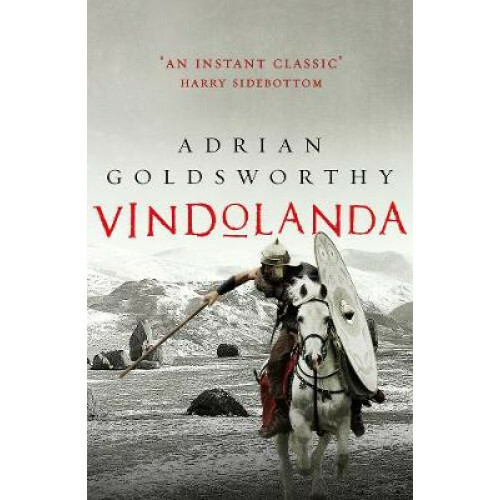 Gripping, authentic novel set in Roman Britain from bestselling historian, Adrian Goldsworthy. AD 98: VINDOLANDA. A FORT ON THE EDGE OF THE ROMAN WORLD. The bustling army base at Vindolanda lies on the northern frontier of Britannia and the entire Roman world. In just over twenty years time, the Emperor Hadrian will build his famous wall. But for now defences are weak as tribes rebel against Rome, and local druids preach the fiery destruction of the invaders. It falls to Flavius Ferox, Briton and Roman centurion, to keep the peace. But it will take more than just a soldier's courage to survive life in Roman Britain. This is a hugely authentic historical novel, written by one of Britain's leading historians. 'A thrilling and engrossing novel' HARRY SIDEBOTTOM.